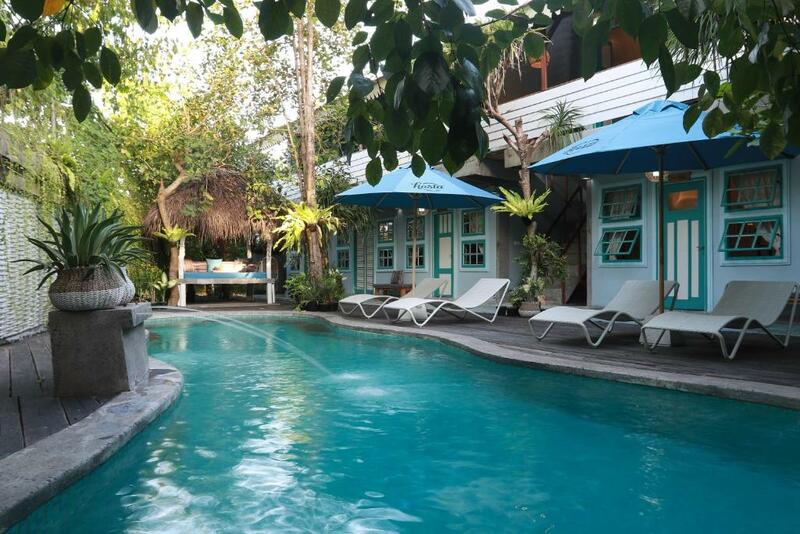 Lock in a great price for Kosta Hostel - rated 8.9 by recent guests. Clean, chilled and quiet. Cafe does great food. Separate cubicles for toilets and showers. Good water pressure in showers and hot water! 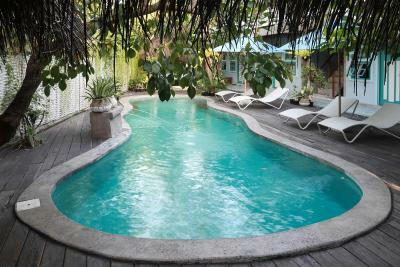 Comfortable beds, great pool and met some nice people. Highly recommended. I liked that there were only 3 beds in a dorm. The beds were comfortable. Breakfast at the cafe (not included) was delicious. Vibe! The pool area is so cute and comfy. Rooms were just like in the pictures. The place was nearby Sunset Rd. Walking distance. Nice comfy beds. 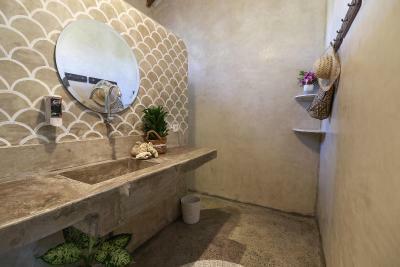 Big private bathrooms and separate hanging quarters. Everything was great! The bed is comfy, the rooms are good. The food is good too. Love the pool and chill vibe going on. The staff were extremely friendly and helpful! The pool area is very beautiful. I like the campus so much. Bed and pillows were comfortable. As there was no bathroom inside the room that was good for me. My second time at Kosta as it is so good! 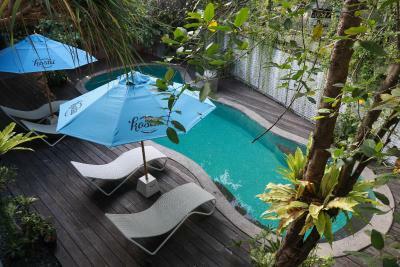 Best hostel in Bali by far! Lovely staff, amazing food and gorgeous rooms. Even make your bed in the dorms every day! Can also ask for a fresh towel when wanted. Food at cafe is also lovely. Convenience store Circle-K also right near the property for snacks and drinks. 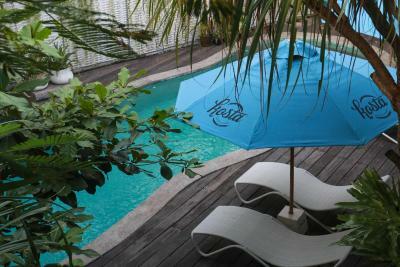 Featuring free WiFi, Kosta Hostel offers accommodation in Seminyak, 1.1 miles from The Seminyak Square Shopping Mall. Guests can enjoy the on-site restaurant. Free private parking is available on site. Bike hire is available at this hostel and the area is popular for cycling. Ku De Ta is 1.9 miles from Kosta Hostel, while Petitenget Temple is 1.4 miles from the property. Echo Beach is 6.8 miles away. Ngurah Rai International Airport is 6.2 miles away. Kosta Hostel has been welcoming Booking.com guests since 5 Jan 2017. When would you like to stay at Kosta Hostel? This dormitory room features a tile/marble floor and air conditioning. House rules Kosta Hostel takes special requests - add in the next step! Kosta Hostel accepts these cards and reserves the right to temporarily hold an amount prior to arrival. Had to wait to check in. Bit far from other restaurants. Unfortunately the staff charged me twice for my room. I had already paid online and they insisted I hadn’t so I paid again. But I eventually found my receipt and proved that I’d already paid and they apologised and refunded my money. I didn’t like that they held my passport overnight. Not exactly walking distance to any other restaurants, shop or points of interest, but a bluebird taxi approx IDR30K will get you into town quickly, no problem and the front desk can easily call one for you if needed. It was loud during the night. Couldn't get any sleep until the noise slowed down. The only small thing was that it was a little further out of everything, so only location wise it scored a little less. A bit far out from Seminyak beach etc. but you should know this if you look at the map before you book. Only a 25 minute walk. No towel is provided if you dont pay the deposit for it. It's as good as the one on the picture. Small room but clean and no awful smell. Cute interior and exterior. Nice staff. They don't refill water... But they can because they have everything to do it. They just don't want, they prefer to use plastic. We have been in Indonesia for one month and that's the first time, a hotel said "no" to us. With all the plastic in Indonesia, it would be good to change. Too much chemical products in the pool, that burnt my eyes. Really clean and beautiful. The beds are so comfortable, and the rooms really so beautiful. The pool is really nice. Really nice staff They have store luggage which is really good. I let my luggage there for three days for free.